We were driving in the van, the kids and I, and in the back someone started telling "Yo Momma" jokes. It being almost Mother's Day, I decided to try and steer the conversation a bit more positively. I suggested that rather than say "Your Momma is so fat..." or "Your Momma is so ugly..." That we see who could come with the best compliment about their Momma. Apparently it must be easier and funnier to put people down than build them up. It's much easier to put people down than to be positive. We struggled a bit to come up with some creative, encouraging "Yo Momma" lines. We did come up with "Your Momma is so sweet she makes honey taste nasty." and Elijah's contribution of "Your Momma's so cute when she looked out the window she got arrested for being so cute." I suggested to the kids, "Your Momma's so patient, you are all still alive." For that matter, she's so patient that she still is putting up with me after nearly 15 years. Your Momma is your greatest ally. Your Momma will fight to the death for you. Your Momma loves you unconditionally. Your Momma is the glue that holds out family together. Your Momma gives up her time to cook your food, wash your clothes, teach you school, keeps you clean, and watches over you. Your Momma does it all, not only without thanks, but often while hearing nothing but complaining in return. Face it kids. Without your mother, your life would be miserable. If all you had was me, you might get fed and have free access to health care, but you'd have about 3 dirty outfits apiece. You'd never get to any event (including school) on time. Several of you would probably have been misplaced by now. Vacations would probably be a tent in the back yard. Your teeth would probably have rotted out from not having anyone remind you to brush them. All I know, is that it would be pretty grim around here. There is something magical that happens during those nine months in which a baby grows inside its mother. I'm not talking about the miracle of life. I'm talking about the miracle of Motherhood. It's when a woman forms a bond with her child that no man can ever comprehend. I watched the change in Karlye when she sat for hours feeling Will (and later the others) kicking inside her. She would have me put my hand on her belly, hoping for some of the magic to soak into me. Where I felt a small thump, she felt something entirely different. It was part her and part someone new. I would watch her as she held each new baby close to her breast, awash in that magic. I tried holding them, it was different. 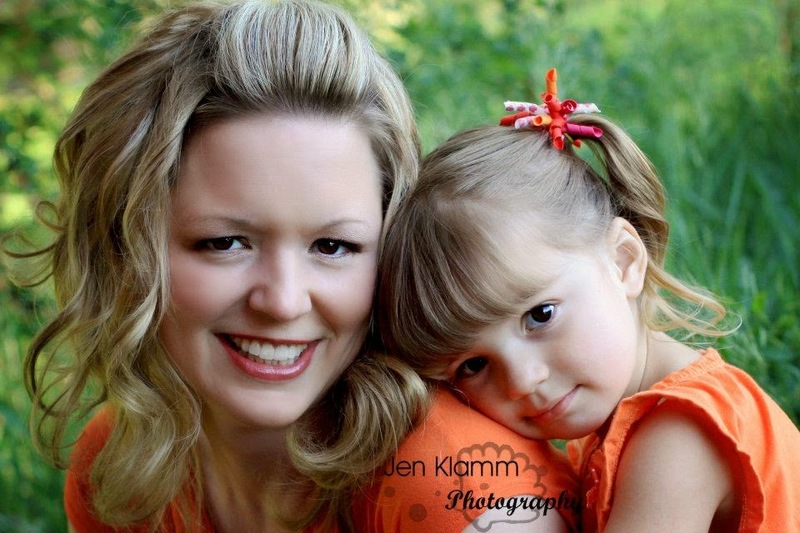 I loved each and every child, but it seemed an anemic love compared to hers. Each new child only strengthened it. Her heart seemed to grow exponentially with each new addition to the family. As the children age, the magic seems to grow and change with them. I married the most amazing and wonderful woman I had ever met. I didn't realize it at the time, but she was incomplete. It was that magic of motherhood that completed her. Like a diamond when lit just right sends out a million sparkles of vibrant light, motherhood lit up her beauty and made it deeper, more precious and breathtaking. I know I don't show Karlye the respect she deserves. Each time I hear one of the kids show her disrespect, it eats at me that I have not been the best example to them. So kids, let's make a deal this year. For Mother's Day and every day that comes after (because every day really is Mother's Day), help me honor your mother for what she is and brings to this family. Your Momma is the life and breath of this crazy clan. She is the most amazing and beautiful woman in the world, and we are the luckiest people in the world to have her. For all you do, thanks Honey. I love you. My last night of quiet. My last night of my annual spring-break bachelorhood. It has been a good week and a quiet week. I have had a fairly productive time. I have been refreshed. Most importantly I have realized once again that when I chose to marry my wonderful wife and have 5 children, I made the right choice. This house has grown to big with only me to fill it. I am beginning to long for a bit of thee craziness that fills it ever day under normal circumstances. Not that I love the noise so much as I love the noise makers. The noise has become a part of me and without it, my world seems empty. I am growing tired of not having my best friend beside me in bed. I am lonely for the hugs and kisses at bedtime, even if there is usually a battle involved in getting the munckins in bed. I miss the laughter and joking, the interaction with my children. I like to be alone, but I don't want to be alone more than this. I hate to think of the moments I have missed with my family. Time is so short. I often think about what it will be like to have them all grown and gone. While there will be quiet and time in abundance, I know that what there will be most of, is emptiness. So tonight I will relish these last few hours of serenity. It will be sweet and precious, but more so because tomorrow I know that tomorrow my life will come rushing back to me in all its wild splendor. Sleep well my dear ones, drive safe tomorrow. I will see you soon. I've been hearing a lot about Matthew McConaughey over the last few days. Apparently there is some annual event called the Oscars, where the pretty, rich people give each other awards for being rich and pretty and for making movies that show how bad life is for those who aren't pretty and rich. Mr. McConaughey won one of these awards. I guess it was the first time for him, and so he got to give an impassioned acceptance speech. My understanding is that this is standard operating procedure. What McConaughey did that caused such a stir was to start his speech by saying, "First off, I want to thank God, because that's who I look up to." This simple statement caused a flurry of activity on the internet. It offended most of the pretty, rich people and their worshipers, because if you are rich and pretty, you aren't supposed to believe in God. ( I think it was only the 15th time in the last 35 years that someone had thanked God during one of these Oscar events.) It made many Christians very happy because a pretty, rich person was admitting that he believed in God. It mostly left me a little perplexed as to why this made such a big news story, but I've had a day or so to think over things, and I think there may be a little bit of a take home lesson for me. It is obvious to anyone who has ever had any contact with a television or magazine, that God is not cool in our culture. Spirituality, that's cool. Self-empowerment is really cool. But old-fashioned belief in a traditional God of the Bible: totally not cool. I did hear a clip of McConaughey's speech on the radio. In the awkward silence that followed his mention of God, you could almost hear the confusion. It was like the man had said he wanted to thank Adolf Hitler or Sarah Palin. These people have no concept of God in their philosophy. (Sure, I'm generalizing here.) I don't know if they consider themselves too enlightened to believe in "fairy tales" or if celebrity has infected them so much that they cannot conceive of a higher power than themselves. Perhaps is a bit of both. Whatever the reason, the entertainment culture has increasingly become more anti-God. In fact, the cool thing now seems to be for celebrities who came from Christian backgrounds to go out of there way to prove that they are no longer affected by that whole Christian thing. Thus you get Katy Perry saying she no longer believes in Christianity while she performs a Satanic ritual on stage and I don't even need to comment on little Miss Hannah Montana. For those of us who are Christians, it is demoralizing to see our faith continuously derided. With so many voices speaking against us, we long for a voice to stand up for us. We want one of the people the world deems acceptable to side with us, as if that would make us acceptable to the world. While this is understandable, we have to be careful about throwing ourselves at every celebrity that claims to represent God. Which brings me back to Matthew McConaughey. I think he's a good actor, from what little I've seen of his work. He's the good-looking, bad-boy type with the smooth southern drawl that makes him seem like someone those of us in the middle of America can relate to. Christians got all excited, because this would be someone who could represent our faith and we could feel good about. In the speech I heard though, he used a pretty generic god reference. He didn't mention Jesus Christ or Christianity. Let's however, for the sake of argument, say that's what he meant. I have no idea what he is like in person, but the people he portrays on the screen are pretty depraved. Maybe that's just acting, but I have a hard time understanding how a follower of Jesus Christ could participate in such a sinful lifestyle, even if it's just acting. That is the core problem I see with Christianity in the modern era. We believe that we can separate our faith from our lives. We want to live a life contrary to the teaching of Christ and the Bible, and then give a "shout out to God" every once in a while to make it all okay. We like to pick and chose Bible verses that make us feel good about ourselves and quietly ignore the ones that make us uncomfortable. We opt for the "Christianity Light" free trial version, but are unwilling to pay for the full program. We want to have enough faith to assuage our guilt, but not so much that it makes the people around us uncomfortable. I'm not here to knock Mr. McConaughey. I hope he truly has a saving faith in Jesus Christ. It did take courage to stand up in the middle of one of the most godless groups of people in this country and say he puts God first in his life and I doubt many Christians would be nearly so bold to do even that. I just think that placing our hope in people like him to represent us to the world is foolish. If you want to follow Christ, you have to give up any hope of popularity. Jesus said it himself, "If the world hates you, understand that it hated Me before it hated you. If you were of the world, the world would love you as its own. However, because you are not of the world, but I have chosen you out of it, the world hates you." (John 15:18-19) We need to get over the fact that people might not like us if we claim to be followers of Christ. I also am reminded of the statement from Revelation 3:15-16 "I know your works, that you are neither cold nor hot. I wish that you were cold or hot. So, because you are lukewarm, and neither hot nor cold, I am going to vomit you out of My mouth." I am tired of being one of those Christians who like to play church, but don't want to let it affect their life too much. Jesus never called people to follow him half way. It was all or nothing. He never spent much time worrying about if this offended people. He didn't woo people. He made difficult and unpopular statements about sin. He told people if they gave up their sin and followed Him, they would be freed from the burden of sin, and then He died to pay for their sin. He went all in, giving everything for us. His followers throughout the centuries have given their lives to spread that message. Where do we get off thinking that a "Jesus is my copilot" bumper sticker on our car is all that we owe Him? We who claim to be Christians need to seriously consider if we are followers of Christ or not. I can't judge anyone but myself, but if I am worried about whether or not people will be offended if I talk about Jesus and salvation, then chances are I'm not really following Him all that closely. Maybe rather than getting our hopes up when a celebrity says he wants to thank God for the opportunity to portray sinful lifestyles in movies, we as Christians could share what God has done in our lives. Maybe rather than waiting for a celebrity voice to represent us, we should find our own voice and represent Christ. "First off I want to thank God because that's who I look up to,"
The boys have been studying astronomy in science. Caleb was supposed to make a solar system poster to compare the different planets. That's all well and good, but we decided to take it a little farther. Why be content with a poster when we could make a scale model of the solar system? 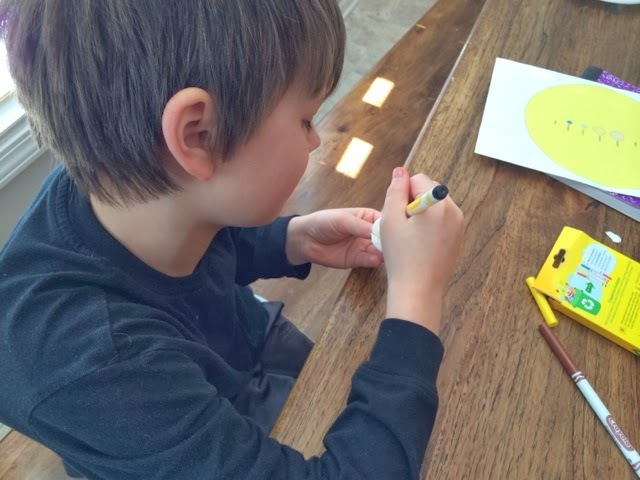 Our first step was to make scale models of the planets. 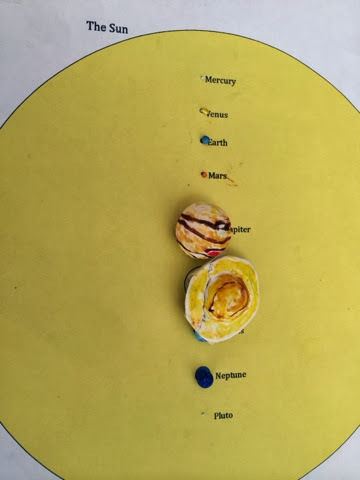 I helped out by making a printout with the planets scaled to an 8 inch sun. Caleb then used Model Magic to sculpt out the planets to match up. Mercury and Pluto were tiny. Less than 0.5 mm in diameter. Jupiter and Saturn were a little over an inch in diameter. Next we attached them to dowel rods. Here they are in order with an 8 inch yellow balloon in the back to represent the Sun. 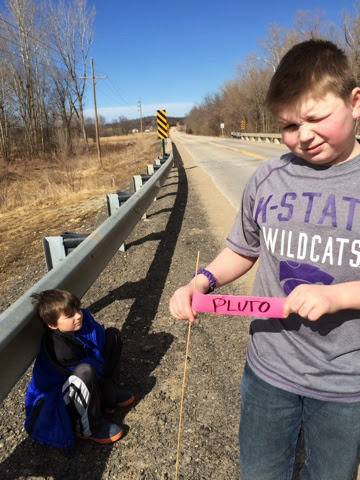 So far so good, but I wanted the boys to get an appreciation of the immensity of the solar system. 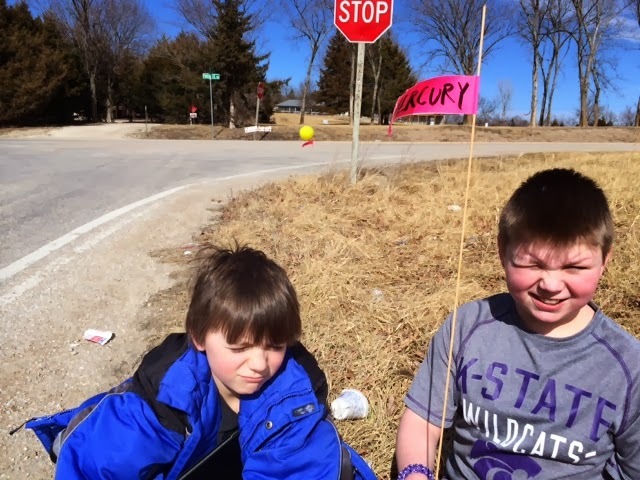 I forced Will to sit down with me and calculate the planets' distances from the Sun. 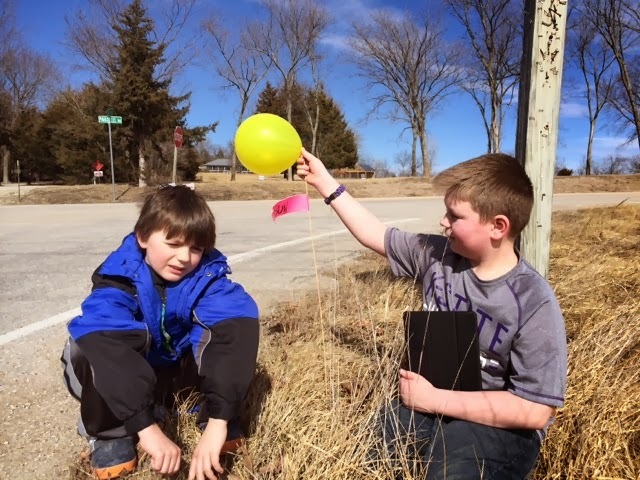 Based on the sun being 8 inches (20 cm), we were using a scale of 7,000,000,000:1. We headed out to the end of a road near our house. 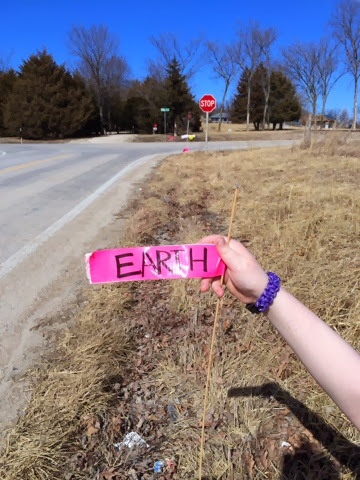 We placed the Sun near the stop sign so we would have a good reference point from farther away. Now we moved 8 meters away. This reflected Mercury's orbit. Here is the closest planet, burning up in the Sun's heat. 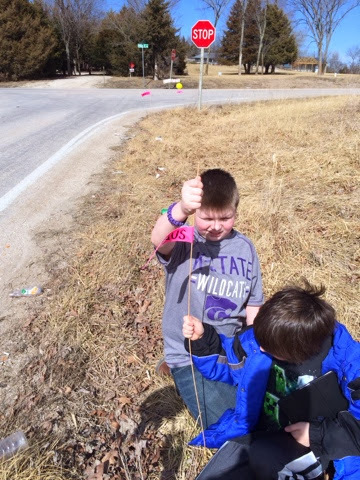 Hard to believe when you are looking at a speck the size of a poppy seed 25 feet away an 8 inch balloon. Next we moved out to a distance of 15 meters. This is where we placed Venus. At this difference the average temperature is 860°F! Next we moved out to place Earth it it's place 23 meters away from our Sun. If you zoom in on the picture you can see the Earth model and the Sun. This will give you an idea of the scale. I was starting to feel pretty small. 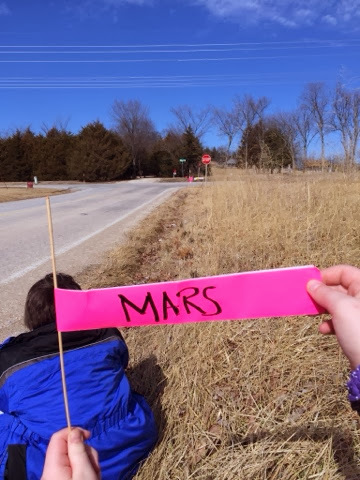 Mars on this scale would be another 10 meters farther out. Zooming in, you can still see the sun, but it's getting difficult. Mars is the last inner planet. To understand why it's called that we just need to move out to Jupiter's orbit. We are now 111 meters away from the center of our solar system. The Sun is just a spot now. We are almost 5 times farther away than the Earth. Saturn is almost twice as far away as Jupiter at 205 meters. Oops! 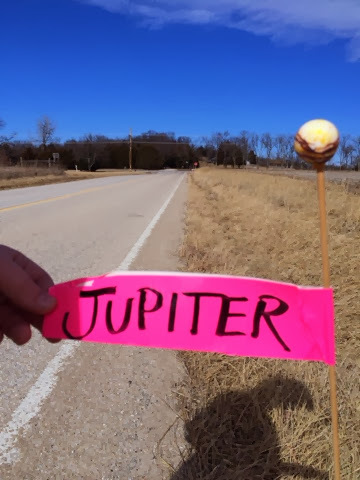 We lost Uranus somewhere along the road, bu at least we could still mark it's orbit at 411 meters out. That's twice the distance of Saturn. No wonder no one discovered this 3rd largest planet until the telescope was invented. 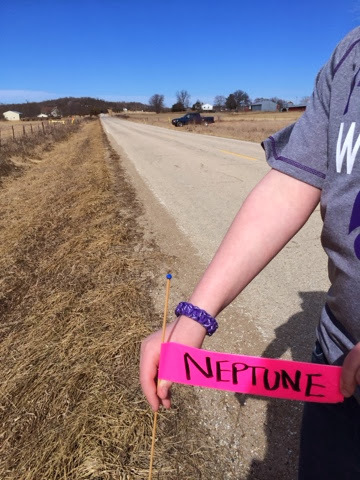 With Neptune we were really starting to get far away. 643 meters out. We could barely see the stop sign, let alone the Sun. This is the last of the planets these days. Now Pluto is the first of the dwarf planets. 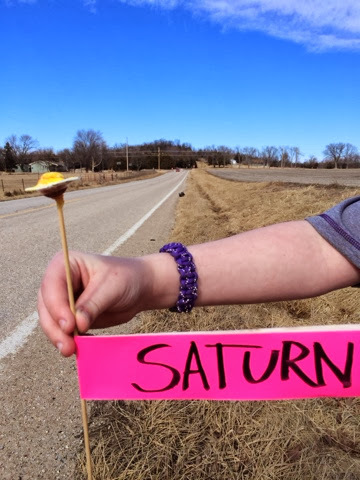 Over a kilometer away from the Sun in our model at the farthest part of its orbit (845 meter would be the average), Pluto appeared a mere speck lost in space. 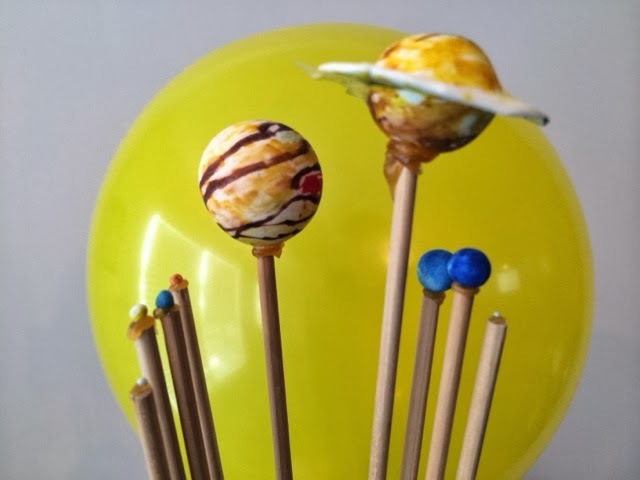 And while that's as far as we went with our model, the solar system goes out much further. Beyond Pluto lie Haumea, Makemake, Eris, and Sedna which at it's furthest point would be 20 km or 12 miles away on our model. If you really want to be overwhelmed, on this scale the next closest star Alpha Centauri A would be somewhere in Panama 3600 miles away. I hope the boys got a good sense of the sheer enormity of space. Even with this I really cannot comprehend such distance.